Get ready to swim with dolphins in Orlando! Looking for the best place to swim with dolphins on your holiday in Florida? 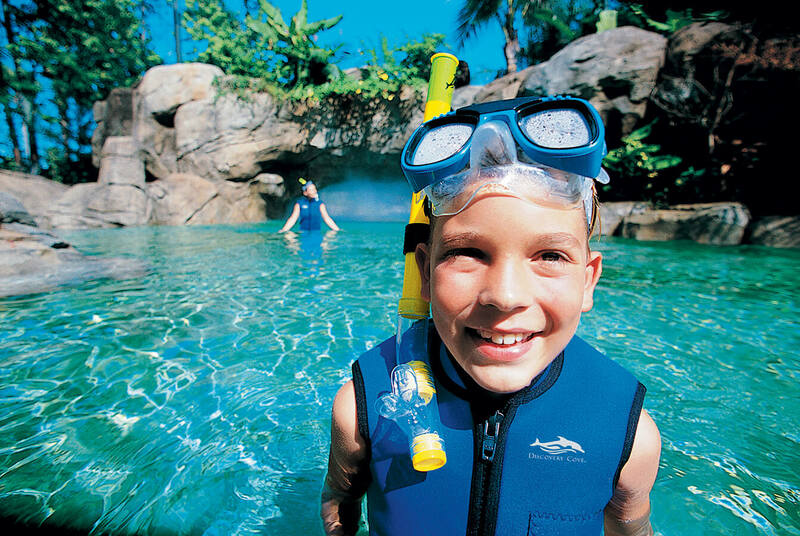 No doubt about it – Discovery Cove is THE place to go! Wondering about the whats and the hows? 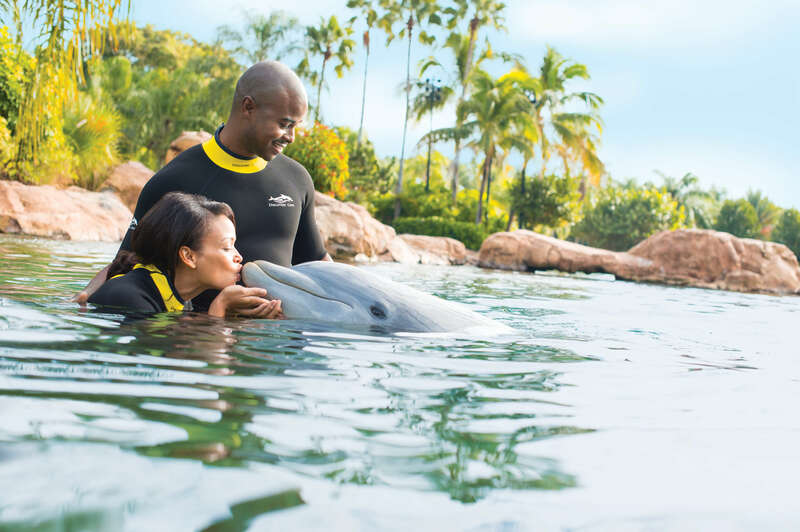 Here are the answers to 10 of the most frequently asked questions about the Dolphin Swim at Discovery Cove! 1. Where can I swim with dolphins in Orlando? 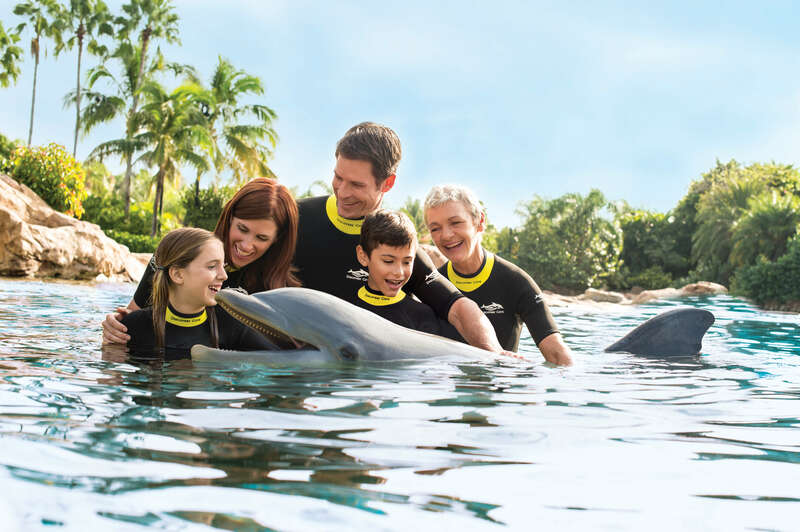 Discovery Cove is the ONLY place where you can swim with dolphins in Orlando. 2. Do I have to book in advance? Let’s get this one out of the way early on – YES, book as early as you can! Discovery Cove allows only 1300 visitors per day. The Dolphin Swim may not be available every day and there are only a limited number of spots per day for the experience, which makes it highly likely to sell out. The park gets so busy that Discovery Cove actually advises you to book at least 2 months in advance if you’re planning a summer visit! 3. How long is the Dolphin Swim? You’ll have 30 awesome minutes with your new dolphin friend. That’s plenty of time for hugs, kisses and a thrilling dorsal pull in the deep end of the Dolphin Lagoon! 4. How early do I need to go to Discovery Cove? 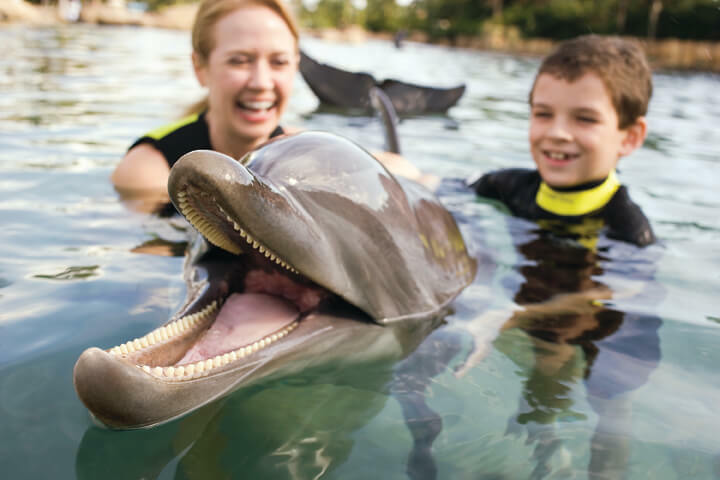 Turning up early at Discovery Cove is one of the first Dolphin Swim Tips you’ll ever get. But how early is early enough? Well, even though Discovery Cove officially opens at 9am, you can go there as early as 6.45am! Going before 7am guarantees an earlier Dolphin Swim timeslot, which then gives you plenty of time to enjoy your day at the park. You also get to make the best of breakfast! 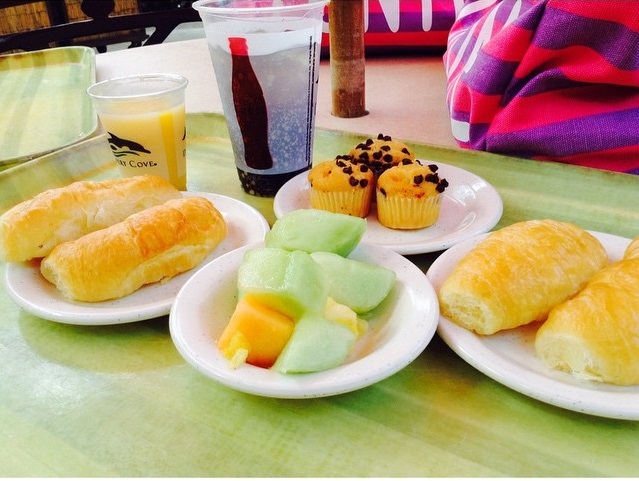 Yep, breakfast at Discovery Cove is served at 7.15am, so you can hit the buffet as soon as the food comes out. This way you’ll avoid the crowds in the dining area and you’ll have more meal choices available. 5. Do I need to be a good swimmer to take part? Good news! Swimming doesn’t need to be your forte in order to participate in the Dolphin Swim. 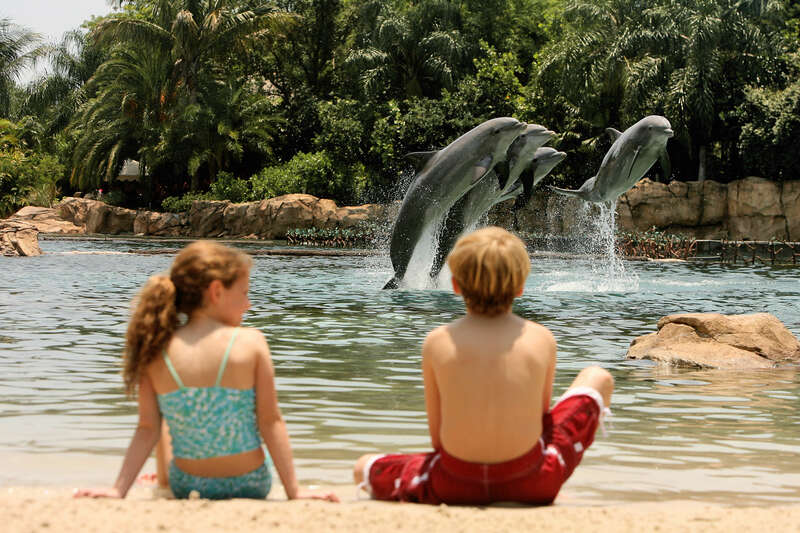 You can interact with the dolphins safely in the shallow area of the Dolphin Lagoon. 6. Can children take part in the Dolphin Swim? 7. Can I take photos during the Dolphin Swim? You’re not allowed to take photos in the water but there will be a professional photographer documenting the whole experience. Once the Dolphin Swim is over, you can look at the pictures and buy the ones you like best. Another option is to bring a designated photographer with you. If you have a friend who doesn’t want to take part in the Dolphin Swim, they can take great photos from a viewing spot at the Dolphin Lagoon. 8. Do I need any equipment? All you need is a wetsuit and you’ll be given one for free at the start of the experience. With long and short wetsuits in sizes up to 18XL available, Discovery Cove will always find the right one for you. 9. Is the water warm? Worried you’ll be cold? Don’t be! The water at the Dolphin Lagoon is always warm at a temperature of 25 C° (76-77 F ). 10. 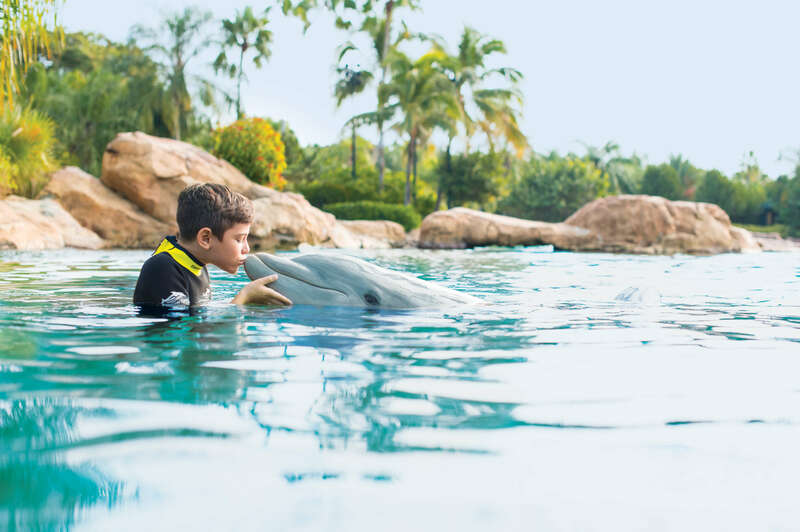 How much does the Discovery Cove Dolphin Swim cost? Ticket prices change depending on the season, so you have to check the availability and the price for your preferred date individually. And speaking about prices, Adults and Child tickets are the same price at Discovery Cove. That’s because there’s nothing in the park children can’t do!